Collects X-Men vs Agents of Atlas #1-2 and Avengers vs. Atlas #1-4. 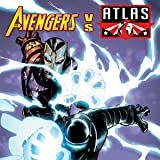 See the Agents of Atlas do battle with some of Marvel's most powerful teams! 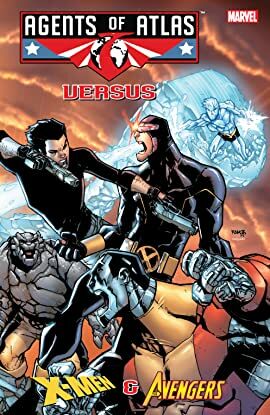 First, Venus has been kidnapped and intel suggests that theres only one machine that can help - CEREBRA - which brings the Agents of Atlas head to head with no less than THE X-MEN! Then, spacetime is being selectively eroded by an unknown force. To stop the effect, the Agents seek the help of the Avengers - and find a much earlier version of the team than they expected. Next, the Thunderbolts see if they can take down the squad of '50s misfits without destroying America first.